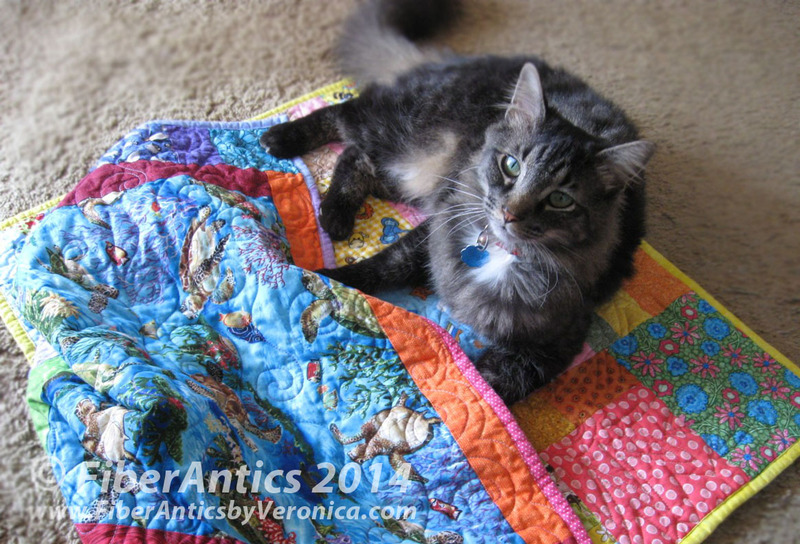 My scrap bender project has been kitty-tested and kitty-approved! Lucy checks out the kitty crate quilts. He approves! They are ready for distribution. 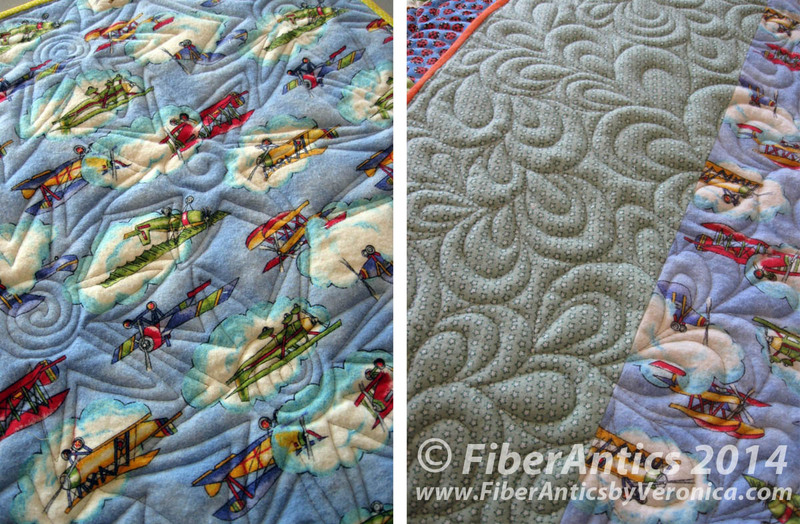 Done all by machine, the kitty quilts I made for the Cat Clinic were quite quick and easy to make. 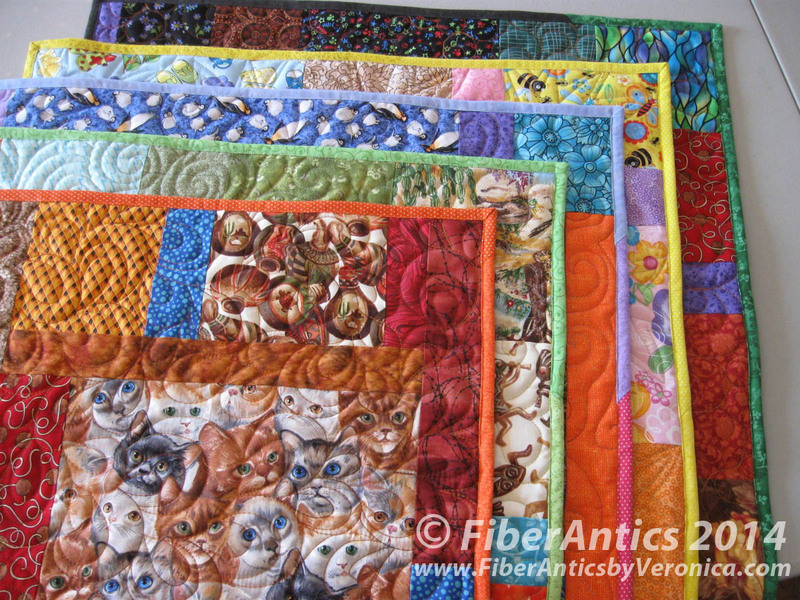 25" x 27" kitty quilts for crates at the Cat Clinic. 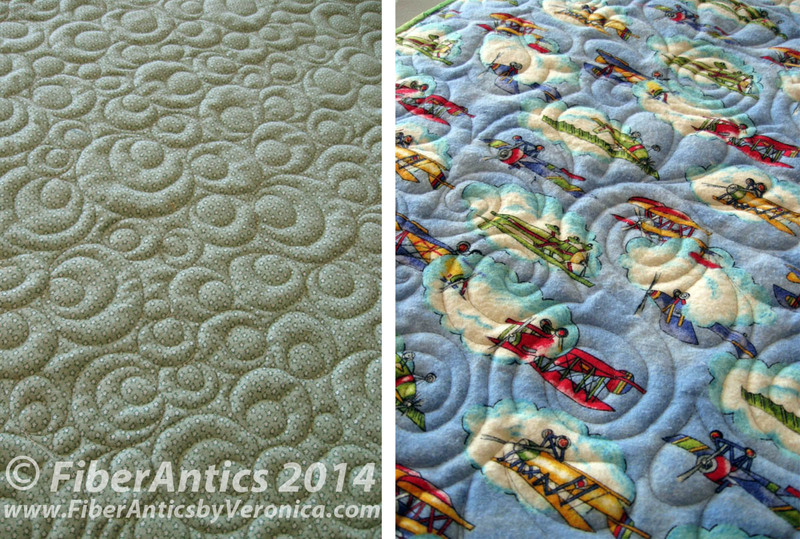 These little quilts are a great size (approximately 25" x 27") for practicing free-motion quilting designs using your home sewing machine. stars and headbands (or paisleys). I also did double loop-d-loops and waves. The bindings—using the pre-cut 2.5" strips—are also attached by machine. 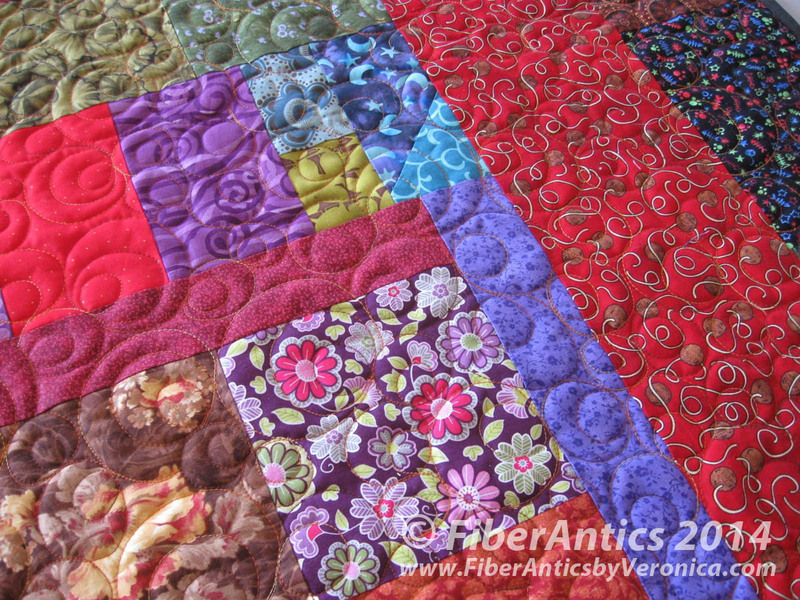 (You can get quite good at binding by machine after you do a half dozen or so of these mini quilts!) The batting is a quilt-shop quality Hobbs Tuscany low-loft poly, for easy care. 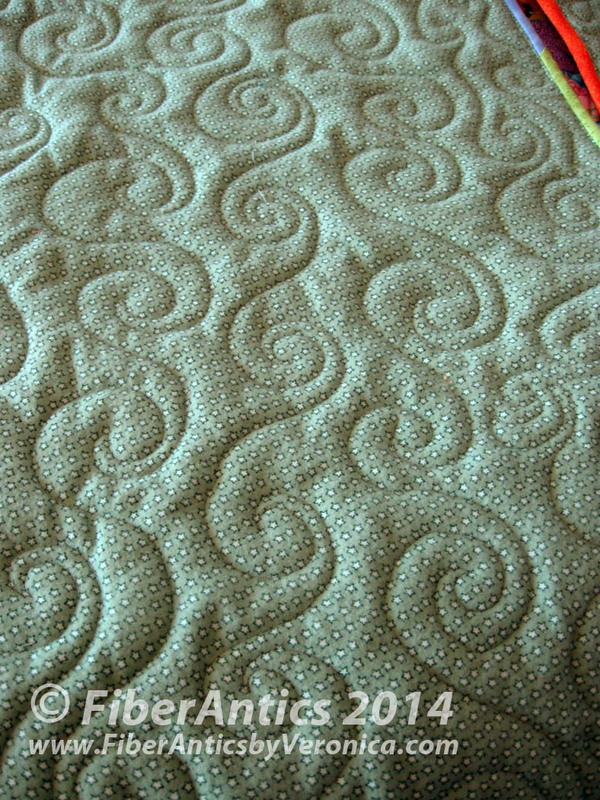 After washing the finished quilts, they did shrink about an inch in both dimensions, so allow for this when you trim the quilt sandwich before binding. I took a prototype over to the Cat Clinic earlier to check the size. 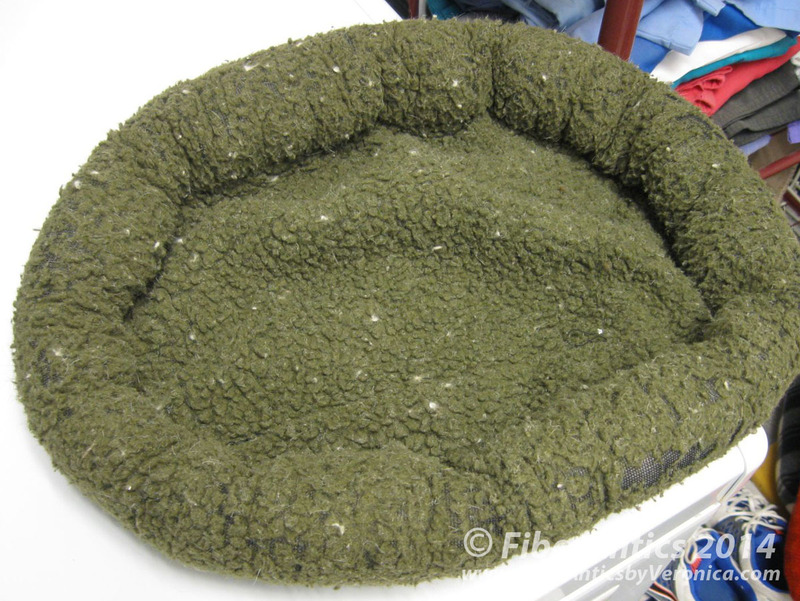 Dr. Toumayan showed me another item the cats really like—cat beds. You can see that this one is well used and washed often. So, if anyone knows of a pattern for something like this—or ones the cats can crawl into—let me know. Another item needed for the cats at the Cat Clinic. Anyone know of a pattern or a quick-sew technique for making these? 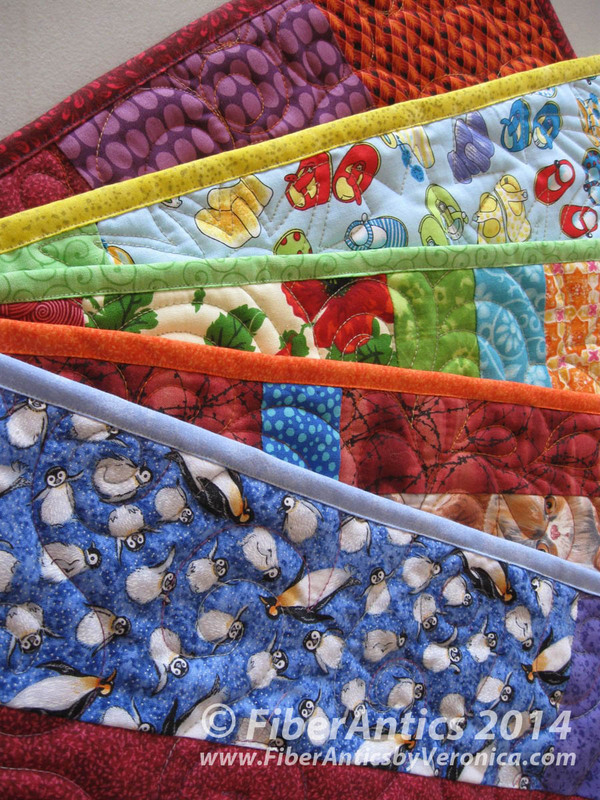 Half a dozen kitty quilts are now at the Cat Clinic.